We know human beings (that includes terrorists) want to thrive. 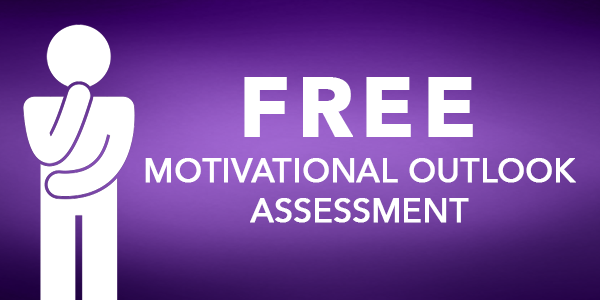 We know how to promote thriving through the satisfaction of three basic psychological needs for autonomy, relatedness, and competence (ARC). Why aren’t we doing it? Ghettoization does not promote thriving. This is why a suicide bomber regards death as a welcomed alternative–a promise of an afterlife that is more satisfying than his or her current experience. One small, dedicated group of Muslims has made enormous positive impact–but they can only fund so many major projects at a time. What if we expanded their model? Even in America, diverting money from ineffective and expensive drug wars to improve our failing infrastructure while skilling workers would be an investment worth taking to build people’s sense of relatedness and competence. With skills in hand, they would also have more choices (autonomy). The United States jails more prisoners per capita than any civilized country on earth were. Imagine if the outlandish money spent to do so was refocused on education and helping people find meaningful work? There’s an old story of the immense effort townspeople put into pulling drowning people out of the river downstream instead of going upstream to prevent the situation in the first place. When did we get so complacent in throwing money at the aftermath of a problem instead of dealing with its root source? Learn and grow so they can better cope with the challenges they face on a daily basis (competence). 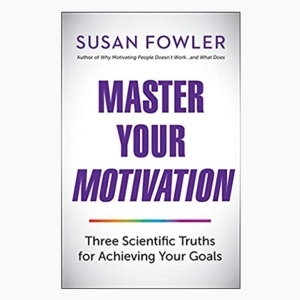 We are already teaching leaders in organizations worldwide how to use the science of motivation to shape workplaces where people’s psychological needs are satisfied. Why can’t we embark on teaching parents, educators, and political leaders how to facilitate people’s satisfaction of their psychological needs? Reflect on the difference made in their productivity, sustained performance, creativity, innovation, mental and physical health, and overall sense of well-being. People long to thrive. Fear and thriving cannot coexist. Fundamentalism in any form is based on fear. Fear of going to hell. Fear of not going to heaven. Fear of change. Fear of a way of life being threatened. Fear of persecution. Fear of not experiencing three psychological needs for ARC that is not consciously understood. How do we vanquish fear and promote thriving? For thousands of years we have waged war to end human suffering. It hasn’t worked. We cannot vanquish fear, anger, and hate by imposing more fear, anger, and hate. We cannot eradicate people’s use of power, status, and revenge through our own use of power, status, and revenge. Gandhi reminded us, “There is no way to peace. Peace is the way.” Maybe it is time to wage peace by focusing resources on helping societies create living conditions that don’t undermine people’s psychological needs. Imagine if instead of arming troops, we armed individuals with the skills for satisfying their psychological needs for autonomy, relatedness, and competence. 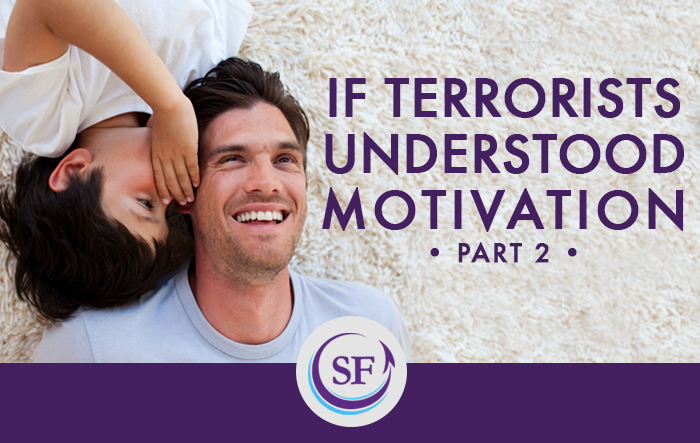 I hoped to provoke thought on the question posed at the conclusion of part 1: How can we use what we know about the true nature of human motivation to change our approach to terrorism? Now I ask: What’s stopping us? Maybe you think the idea of solving one of the world’s great issues by satisfying three psychological needs is too simplistic. Maybe you think teaching enough people the skill of motivation to reach a tipping point is implausible. Maybe you think political leaders are too self-serving to care about the implications that need thwarting has on society as a whole. I grant you, this is a huge dream with significant barriers. But, grant me this: In a world where we have the power to destroy life as we know it with the push of a button, we also have the knowledge to promote human thriving. We can begin a long-term strategy by accepting the true nature of human motivation and arming individuals, parents, educators, and leaders with the skill of motivation to satisfy a world literally dying for ARC. We can begin waging peace today. Really, what’s stopping us?